Many of us have furry little critters running around our homes. My wife and I have a precious cat named Shiro who is our delight. Pets really do become a member of the family. Some people even have set up Facebook pages for their pets where they give them their last name. My guest this time has written a book on that called Will Dogs Chase Cats In Heaven? This is a book that is surprisingly very much in-depth and interacts with some great scholarship on the question. While it’s not a hill I’m willing to die out, Story makes the strongest case that I have seen for animal immortality. He’ll be joining us to talk about that. So who is he? I was born in Phoenix, Arizona, the youngest of three siblings. From birth to the eighth grade, I lived in two states, six cities, and twelve houses (that I can remember). My wife and I were both nineteen when we married, and we have two children and four grandchildren. My hobbies include hiking, wildlife photography, traveling (especially to national and state parks), and mountain biking. I have had two great passions in my life. The first is rooted in one of my earliest childhood memories. At the time, my family lived in Seal Beach, California, and my father owned a mining claim in a remote section of the Tonto National Forest, in central Arizona. When I was four or five years old, I visited the mine with Mom and Dad. I credit that trip into the arid wilderness as the beginning of a lifelong love for nature, wildlife, and all things wild, lonely, and beautiful—an enchantment that has never weakened nor ever departed during all the ensuing years. 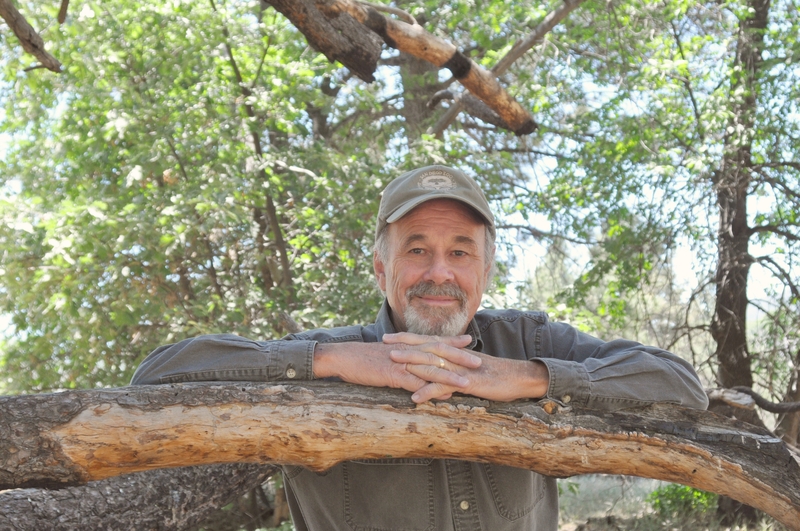 When I became an adult, my love for nature became the focus of my life (other than my family and closest friends) and dominated my recreational and writing activities throughout the 1970s and early 1980s. With my wife, kids, and friends, I camped, backpacked, hiked, and explored numerous wilderness areas throughout the Western United States. My wife and I joined the Sierra Club, volunteered at a wildlife rescue center, and were active in various local environmental undertakings, including promoting California’s “Bottle Bill” and establishing a large open space preserve in the city where we lived. My first published magazine article in 1974 was titled “Helping Children Learn an Ecology Value,” followed by “The Wild Chaparral,” “Clocking the Cuckoo” (about the Roadrunner), and a two and a half year series of “Animal of the Month” articles published in a Sierra Club newspaper. In short, nature was my life and protecting and enjoying it was my passion. This changed dramatically after I became a Christian in 1981. My passion soon changed from delight in nature (creation) to worshiping the Creator. Although my enthusiasm and love for nature did not diminish, it was no longer the center of my life. In fact, my thesis for a master’s degree in Christian Apologetics was a 330-page book titled, Environmental Stewardship: A Biblical Approach to Environmental Ethics. After graduating in 1988, however, my focus in writing changed. Instead of defending the wilderness, I took up the case for Jesus Christ and began to write books and booklets, and to teach classes and workshops, on how to defend the Christian faith. Although I still offer apologetic workshops and classes, my ministry today focuses more on wildlife, environmental ethics and other nature related subjects. My most recent books, articles, and workshops include biblical environmental ethics and stewardship, ecological issues, wildlife, and other nature related topics (all from a Christian perspective and often with an apologetic emphasis). More recently, my interest and writing has focused on animal in the afterlife, as reflected in my newest book seen on my website home page. Animals are often a special part in all of our lives. What is the eternal outcome for these adorable creatures? Does this say anything about our own lives in the afterdeath? What does this tell us about how we are to watch over creation? I hope you’ll be listening for the next episode of the Deeper Waters Podcast. Please also go on ITunes and leave a positive review of the show.